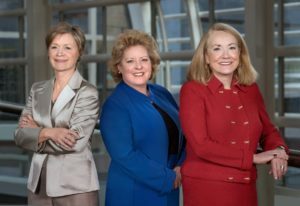 Welcome to Wells, Anderson & Race, LLC, a women-owned law firm founded in 1995. Our lawyers are well known for their talents as trial lawyers, having represented clients in complex litigation throughout the country, and our members serve the firm’s clients with the highest standards of excellence and ethics. The firm’s litigation practice concentrates on product liability, aviation, employment, civil rights defense, insurance coverage and defense, bad faith, arson and insurance fraud, construction defect, business litigation, tort, contract disputes, and premises liability. We have been at the forefront of developing law on expert evidence and the defense of mass torts, and our appellate practice includes not only cases tried by the firm, but also cases tried by others, amicus briefs submitted to the United States Supreme Court, Circuit Courts, and state Supreme Courts for the Product Liability Advisory Council. Person of contact: Cathy Greer, Esq. Bio - L. Michael Brooks, Jr.
Wells, Anderson & Race, LLC is a Denver, Colorado women-owned law firm founded in 1995. Our lawyers are well known for their talents as trial lawyers, representing national and international clients in complex litigation in Colorado and throughout the United States. The firm’s litigation, arbitration, investigation, and counseling practice includes: Product Liability and Mass Torts, both as local and national counsel in single actions and multi-district litigation. Representative products include vehicles and component parts, heavy equipment, pharmaceuticals, chemicals, medical devices, safety equipment and a variety of other items. Wells, Anderson & Race, LLC is also experienced in insurance coverage and litigation, representing insurance companies and insureds in both first and third party exposures, including fraud, coverage analysis, extra-contractual liability and all aspects of insurance litigation. The firm’s insurance work encompasses the full range of coverage analyses including construction defect, public entity, professional malpractice, and commercial and personal lines of coverage. Our practice includes representation of governmental entities and officials in federal and state courts in defense of civil rights claims alleging unconstitutional conduct including wrongful death, discrimination and harassment, retaliation and other First Amendment violations, excessive force, challenges to conditions of confinement, constitutional employment claims and other alleged violations of constitutional rights. The firm also represents public and private employers in employment litigation involving allegations of wrongful termination, discrimination and harassment, whistleblower, retaliation, allegations of constitutional violations, Fair Labor Standards Act and other federal and state statutory claims, breach of contract and tort claims involving the employment relationship. We represent developers, general contractors, product suppliers and subcontractors in construction defect actions brought by owners, developers, builders and HOA’s, as well as cases brought by individual home/property owners. Our attorneys have defended construction defect actions in both trials and arbitrations with scopes of work ranging from excavation, foundations, retaining walls, wet and dry in-ground utilities, HVAC systems, concrete and asphalt manufacture and placement, framing, roofing, siding and numerous other areas. Our litigators are experienced in representing commercial carriers, including OTR trucking companies, in personal injury actions, death and other damages and claims arising out of highway and railway operations. We represent aircraft and component manufacturers in aviation accident cases, warranty and contract disputes and have tried numerous aircraft accident cases to verdict. The firm also represents various airports in tort and business disputes. We litigate claims for the restaurant and retail industries, including department stores, soft-drink manufacturers and restaurants. Cases have included premises liability claims, carbon monoxide deaths, bacterial contamination, and ingestion of foreign materials.